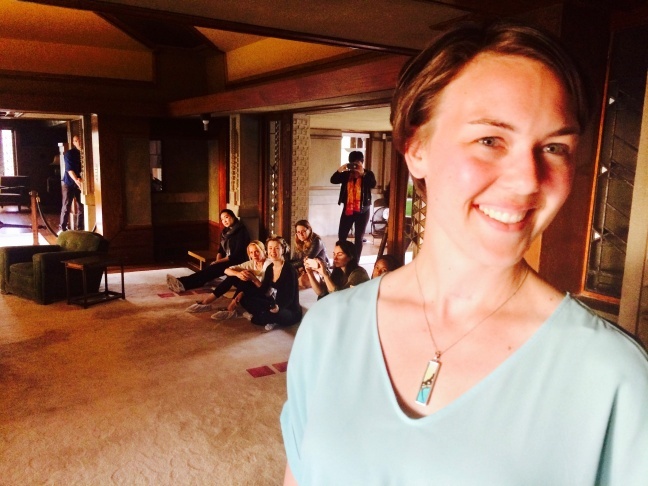 Director Kate Jopson with the cast of “Fefu & Her Friends” inside Frank Lloyd Wright's Hollyhock House. 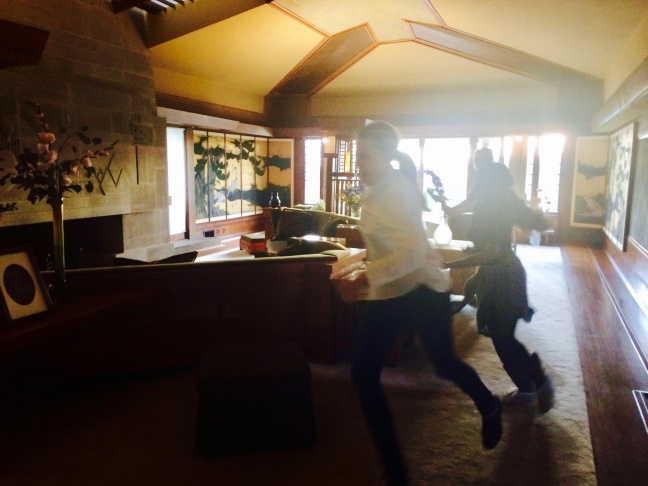 The cast of “Fefu & Her Friends” rehearses inside Frank Lloyd Wright's Hollyhock House. 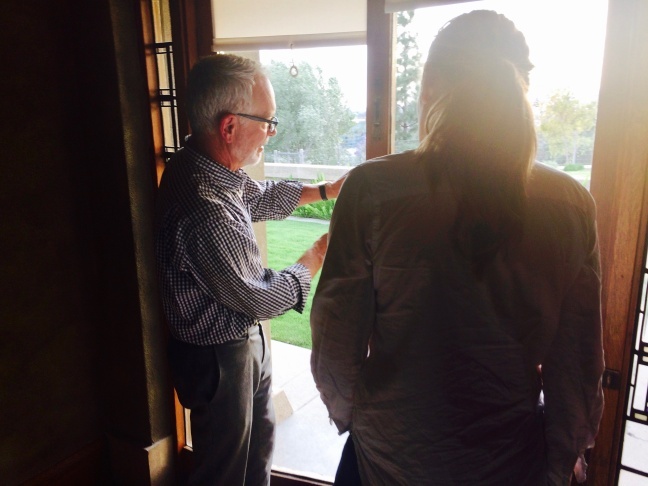 Jeffrey Herr, left, is the curator for Hollyhock House. He led the recent restoration of the home. 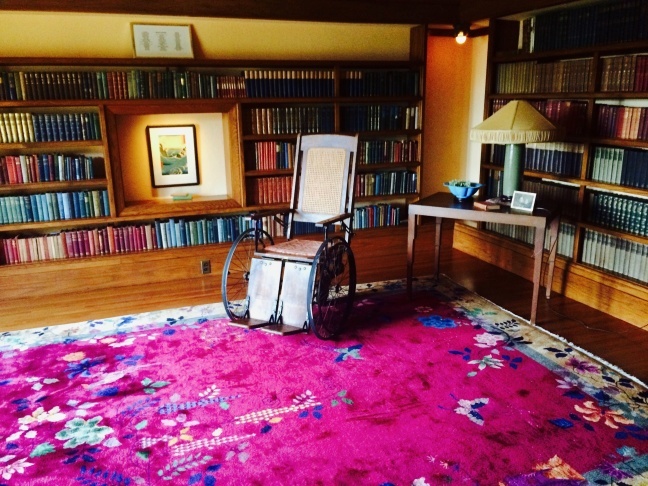 Now, he’s spearheading fundraising efforts to restore the Hollyhock Guest House. Two $1000 tax-deductible tickets will be available each night of the production to support the cause. 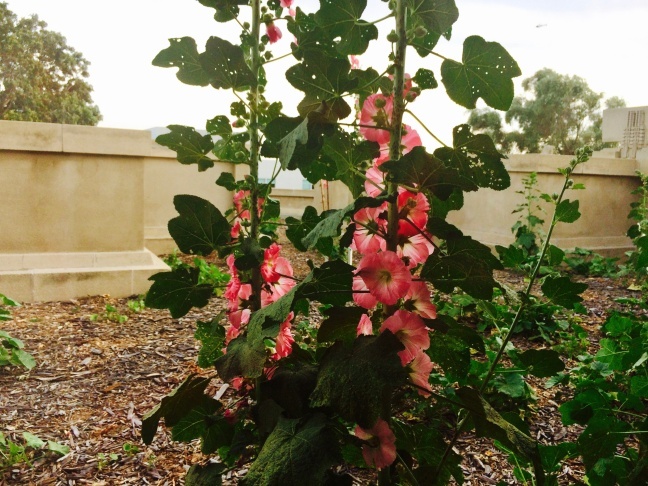 The Hollyhock flower was Aline Barnsdall’s favorite. The silhouette was reimagined by Frank Lloyd Wright and turned into a geometric form that can be see on the walls throughout the grounds. 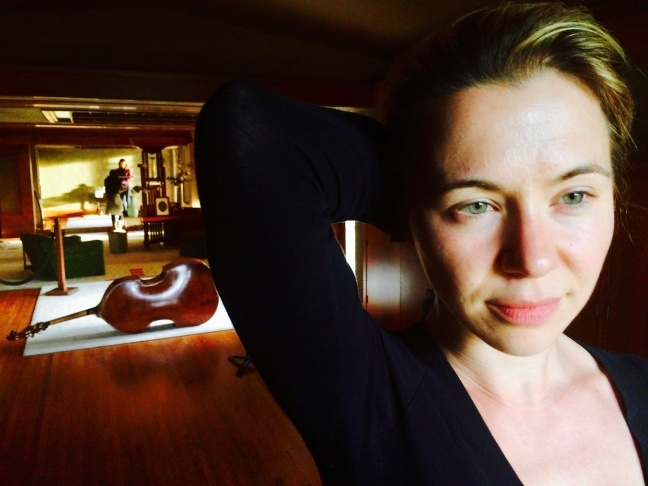 Actress Julia Ubrankovics, a co-founder of Just TOYS Productions, says Hollyhock House gave the cast instant energy and life as soon as rehearsals started. This is the first play ever to be staged inside the Frank Lloyd Wright masterpiece. The library inside Frank Lloyd Wright's Hollyhock House. About a hundred years ago in Los Angeles, scores of people would gather for Easter Sunrise Service on a small flattop mountain northwest of downtown. Musicians would perform while folks prayed and celebrated in the olive groves. But an heiress to an oil fortune wanted that land for herself. So, as the story goes, Aline Barnsdall bought Olive Hill and helped secure money to move Easter mass to the spot we now know as the Hollywood Bowl. Barnsdall then hired the great American architect Frank Lloyd Wright to design a house and theater complex atop her new purchase. Barnsdall didn't live very long in the house, and she and Wright could never agree on a design for the theater, so it was never built. But now, the property is about to host its first theatrical production. Barnsdall’s home is more famously known as Hollyhock House. The 1920s-era masterpiece is the centerpiece of Barnsdall Art Park, which is located at the junction of Los Feliz, Silverlake and East Hollywood. On a recent day, a troupe of musicians and actors are rehearsing a play to be performed inside the landmark structure. The production is part of Wright’s 150th birthday celebration this year. 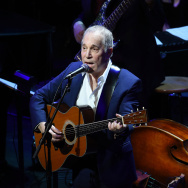 Wright properties across the country are marking his sesquicentennial with performances and public events. 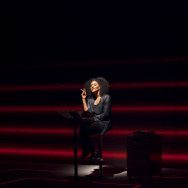 At Hollyhock, L.A. audiences will enjoy a site-specific production of “Fefu and Her Friends,” penned by the powerful Cuban-American playwright, María Irene Fornés. With only 12 performances and 20 tickets a night for sale, audience members will experience the show exactly as Fornés intended. An all-female international cast spreads out across the Hollyhock grounds to tell the story of how a group of women confront societal pressure. Jopson believes Hollyhock is the perfect backdrop for this classic feminist text by Fornés because the playwright and Aline Barnsdall both mirror the strength, smarts and sass of the women who come together in the story. It took Barnsdall about four years to find Olive Hill. She had tried Chicago and the Pacific Northwest, but it was here in L.A. that she fell in love with this remote locale and its dramatic views. In the end, Barnsdall and Wright fought over the designs, timelines and overall construction of the house and theater colony hybrid. While Wright was distracted with building the Imperial Hotel in Tokyo, Barnsdall grew impatient and fired him. Shortly thereafter, she gave a 12-acre portion of the land, including Hollyhock House, to the City of Los Angeles. The theater complex was never built. Her dream was dashed, until now, when members of the Circle X Company and Just TOYS production began rehearsing for their upcoming show inside the residence. Ubrankovics says there’s a certain poetic justice in Barnsdall finally getting what she paid Wright for all those years ago — a living, breathing home for theater. “Fefu and Her Friends,” runs May 6-28 at Hollyhock House. The show is nearly sold out, but to help with restoration efforts on the Hollyhock guest house, there are two special fundraiser seats available at each show.